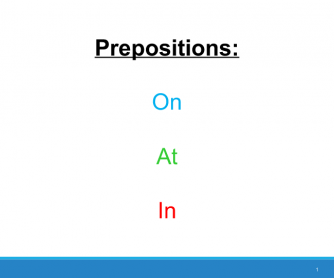 Ppt on the prepositions on, at, in. I used it with special ed class (EFL) and it was great! I also used the song "Lucy in the Sky with Diamonds" as a pre activity to a worksheet. 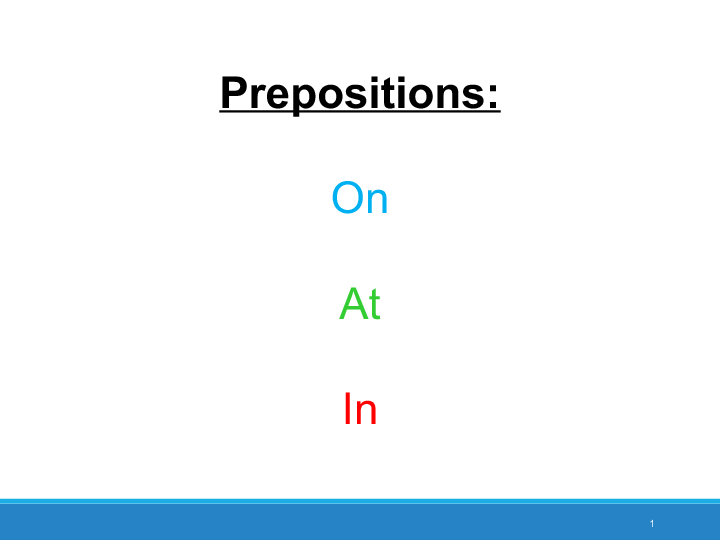 The ppt is sutible for elemetary and for intermediate levels, specaily with weak classes.